In world where organizations are being divided into traditional and digital, the HR professionals make a huge difference when it comes to categorizing the organization in either of the two. So, is your HR professional a Santa or a traditionalist? When we think of the HR professionals within our organization, our perception of them is still very traditional. She is somebody who is engrossed in the calculation of the monthly leaves, our salaries or booking flowers for the welcoming of the new employee. But with the advancement in technologies that image is steadily changing. And with the use of technology, finally, the HR professional evolving into a Santa. With AI and machine learning coming into the picture, there is a lot of focus on both employee engagement and employee experience. The CXOs of the world are expecting the HR to take ownership of not just designing the employee experience but also driving initiatives that not only increase employee engagement but to also start looking at their own function from both a lens of marketing and finance. And because HR professionals are also evolving into equal partners to the business, they are slowly turning into Santa Claus for both the organization and also the employees. Now, let us go a little deeper and understand what exactly the modern HR Santa Clauses have in store for employees and the organizations. The HR professionals are being given the responsibility to transform traditional and isolated units within the organization into something which is integrated and works in unity. It is not only modern but also very smart and intelligent. Further, it contributes to enhancing the overall employee experience of the employee at work. And for the same, the modern HR professional is busy brushing up her knowledge of the most advanced technologies and products available in the market, and judging which of them best suit their organization. For most of the millennials who are extremely digitally savvy, this is not short of an amazing gift from Santa Claus himself. An employee’s onboarding experience is perhaps one of the most important pieces of his journey within the organization. The first impressions, as they say, for at least some of the employees could also be the last. And as studies and research have pointed out, what employees need during their onboarding is the access to materials which would help them get started at their job. And which is why there is now a plethora of chatbots which exist in the market which help connect the new employee with the knowledge centers within the organization, whether in the form of in-house, or online resources, or even people in certain cases. Truly, the HR which is responsible for the implementation of such intelligent and helpful technology is a Santa to many new employees. This has been previously an extremely unexplored part of the job of an HR professional, but employer branding is steadily falling into the kitty of the HR professionals and they are being asked to take charge. Here the HR professional also starts to wear the hat of the marketer and the job of the HR professional is to ensure the company’s values, vision and mission is translated into branding material which would not only help them attract the right talent but also create material that would be used in-house to ensure that the employees too themselves can remain connected with the company. For this, the HR department works in collaboration with the corporate communications team. Here too the HR professionals act like Santa for both the organization and also the future employees of the organization who would have been searching for a company with a set of values that they would relate to. With the steady increase in the number of employees over the years, the organizations often feel challenged when it comes to charting out individual career paths for each of their employees. And the most important questions that most people at the top leadership ask themselves is that which of the talent which is either at the lowest rung of the ladder or part of the middle management which would succeed them in the future. And here the technology comes to help. The HR professional is tasked with buying the technology, implementing it and using it to create the career paths of the individual employees within the workplace, but also using many different metrics to judge which ones would succeed the top leadership in the future. Here the HR acts like a Santa to both the top leadership and the successors. The high potential talent in the organization is the most valuable asset but the challenge lies in mentoring, training and retaining them. Here the HR professional again comes into the picture when it comes to identifying the talent, creating mentorship and training programs. They either choose the learning platform or create one in-house which helps to better train the high potential talent. Then they identify the right mentors for the talent and connect them with one another. Further, they ensure that the high-potential talent is working on projects which align with the goals of the organization and hence ensure that the talent feels a sense of purpose when he works on projects which she deems meaningful and furthering her ambition within the organization. Here too the HR acts like a Santa to the organizations. There is so much more that the modern HR professionals are doing in a bid to make their organizations better and smarter. If the HR professional has made your organization a better place or has contributed to making it smarter and more intelligent, then he is a Santa for you and the organization, for he is ensuring that you and your organization move towards the future. 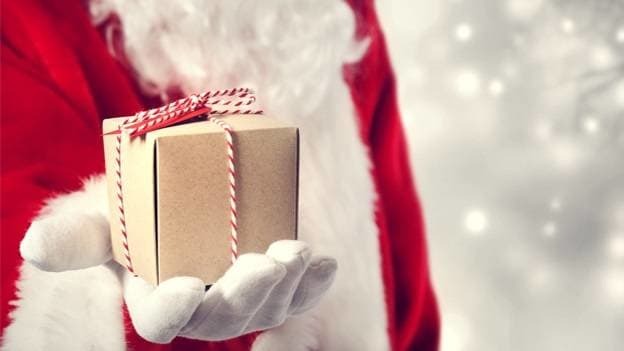 Let us know in the comment section below of the newest Santa initiatives taken by your HR department.